koja će se održati u petak 24.juna 2011.godine sa početkom u 19,00 časova u Urbanističkom zavodu Beograda, Palmotićeva 30 (sala u prizemlju). 135 rada koja su učestvovala na konkursu. Savsko šetalište, u parku Kalemegdan. Izložba će trajati do 10.jula 2011.godine. Authors: Sou Fujimoto Architects, consultant Ove Arup Japan. Authors: Dejan Miljković, Jovan Mitrović, Aleksandar Rodić, associates: Miloš Milivojević, Vuk Lukić, Dejan Mitrović, Aida Hadžiahmetović, Iva Olujić. Authors:" MX_SI architectural studio", Boris Bežan, Hector Mendoza Ramirez, Mara Gabriela, Partida Muňoz, Oscar Espinosa, Olga Bombač. Authors: Janghwan Cheon, Derik Eckhardt, Felipe Colin, Christopher Paulsen, Donghyun Kim, Jonathan Culp, Gabee Cho. Authors: Luca Catalano, Massimo Acito, Marco Burrascano, Annalisa Metta, Luca Reale, Catarina Rogai, Piera Carcassi, Serena Muccitelli, coauthors: Marta Spadaro, Livia Valentini, Lorenzo Senni. This scheme stood out form the rest of competitors by offering a simple, but refined complexity. Viewed from Novi Beograd and from the bridge, new spaces gracefully underline the skyline of historic Kalemegdan, without competing with its elegant silhouette. Colorful, flowery treatment of the roof, the veritable fifth façade of the project, enriches the view from the hill and offers its immense space to variety of urban uses. 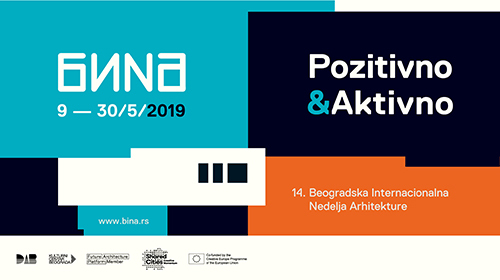 Skillfully combined, two functional volumes constitute architectural body of the project and hint at the variety of expressions of everyday life of Belgrade, high level of flexibility which invites and accepts evolution and healthy change. This brave proposal held highest emblematic potential among all of Beton Hala entries. It offers a brave, iconic structure which skillfully blurs the difference between urban and architectural scales and spaces. Proposed spaces enter a complex dialogue with historic assemblage of Kalemegdan Hill, respectfully juxtaposes its cutting-edge 21st century space against the layered past of its context. Static spaces of the platform, which houses bulk of architectural volume of the scheme, are contrasted against the suspended flux of ramps, which offer public spaces of a novel type, rich spatial configurations of encounter and surprise. 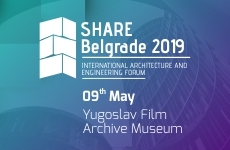 A simple, grand spatial gesture offers itself to two readings – that is large-scale architecture, a roof which reaches from the Beton Hala upwards, towards the top of the hill; and, that is a landscape, a slope which slides down, from Kalemegdan to touch the roof of the Hala. Here, a building becomes the landscape, a landscape transforms itself into the building. That complex and generous structure "hides" all programmes, spaces for which are defined with an utmost flexibility, an excellent access and good infrastructural support. A realistic, buildable scheme which captures and reinterprets the fine urban grain of historic Belgrade and spatiality of its lose grid. It opens opportunities for incremental growth, a variety of interpretations and improvisations within an overall logic of the scheme. That provides for emergence of the complexity unique among the competing schemes. In addition to meeting all the requirements of the Competition Brief, this scheme offers to Belgrade a dramatic programmatic addition – a Tropical Garden. It adds quality and promises a novel urban experience. As such, the project has established itself as a category and as quality on its own. 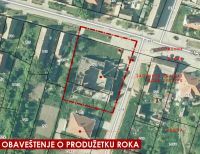 Cilj konkursa je da se na osnovu upoređivanja dostavljenih projekata izabere najbolji projekat za izgradnju Beton hala centra, koji zadovoljava zahteve naručioca konkursa u skladu sa utvrđenim uslovima, Programom i relevantnom dokumentacijom, istovremeno ukazujući na razvojne urbanističke mogućnosti savskog priobalja. • arhitektonski timovi koji učestvuju na konkursu treba da imaju najmanje jednog licenciranog/ovlašćenog/registrovanog/autorizovanog arhitektu koji će biti vođa tima. – najava konkursa 18. II 2011. – objava načina registracije 25. II 2011. – krajnji rok za predaju radova 28. IV 2011. – ocenjivanje radova 9. V 2011. – objavljivanje dobitnika nagrada od strane žirija 13. V 2011. – izložba pristiglih radova 7. VI 2011. 7. Milica Grozdanić, arhitekta, Beograd, Srbija. 2. Dr Ana Miljacki, Boston, SAD. Adresa predaje radova biće precizirana u konkursnom materijalu. Organizator zadržava pravo dopuna i izmena bez naknade.